We travel quite a bit due to family living all over the world and our lifestyle. Actually, my daughter’s first flight was when she was 2 months old. Now, when my both kids got older (3 and 6) there are few extra challenges when it comes to being away from home for extended period of time. One of them – reading. Yes, reading. Obviously, we can’t bring books with us everywhere we go, so finding an online solution was the key for me to get kids continue on loving books and learning how to read. One of my main principles on getting kids to love reading is let them choose what to read. Disney stories are perfect for that, because kids are most likely familiar (and much in love) with the characters and the stories. The motivation is already there. So this summer we got very excited to find Disney Story Central – the largest collection of Disney digital stories, featuring a wide array of Disney stories and characters. The research is clear that children who don’t read during the summer can lose up to three months of reading progress and that loss has a cumulative, long-term effect. 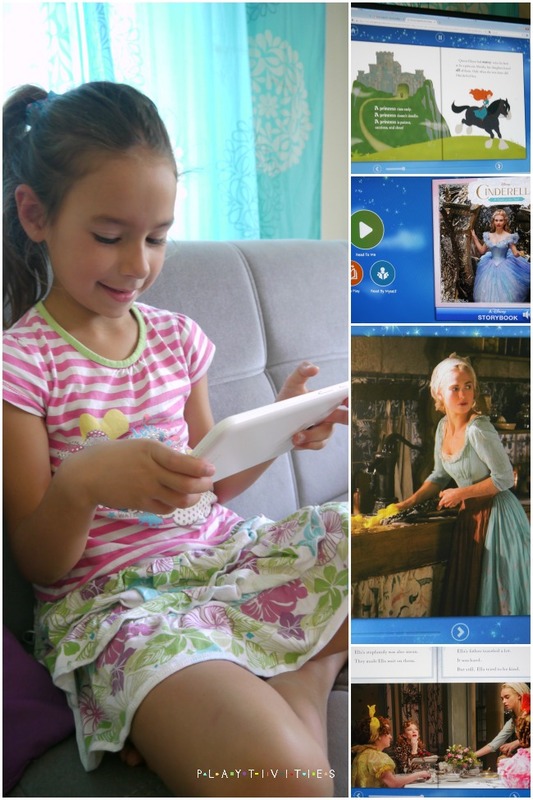 With 2 kids in the family it is great that Disney Story Central has customizable bookshelves for each member of the family with personalized reading recommendations. You can also browse by the character which has led us to some new exciting stories we have never heard of. Each book allows a reader to choose an option: Read to Me, Auto Play and Read by Myself. I usually sit with my 3 year old and read the book to him. And my 6 year old is practicing to read herself. I know it’s not the case with every child, but reward system works really well on my daughter, so earning virtual stars and trophies as she reads and progresses helps her stay motivated and keep reading. We are using NEW subscription service by Disney Story Central for $7.99 a month which gives us unlimited access to all the Disney books.